Glenn Villeneuve is popular from the documented series "Life Below Zero", where he is seen making his living in the remote areas of Alaska. Well, you guys may be curious to know the personal life of this adventurous guy whether he is married or he is dating a girlfriend. To know about his personal affairs and career stay with us!!!!! You might not believe this but the daring and audacious Glenn is also a loving and a caring husband and a father too. First, he was married to a mysterious girl whose identity is still not revealed. The pair set also welcomed their two children together; a son and a daughter named Wolf Song and Willow Leaves. But the couple was not destined to be together as after few years they divorced and Glenn started living in Alaska along with his children. Well, everyone deserves a second chance in love. Glenn also met Trisha Kazan; a gorgeous and strong lady and it did not take much of a time for the pair to fall in love and soon the duo married. Trisha has a daughter from her former husband named Amelia. Villeneuve started living in Alaska with his three children and wife together. They have habituated in staying in Alaska playing in the woods and sharing their love to nature. If one does not wish to live in the wilderness alone, then one must find a right partner, and it seems that Trisha is the right partner. Villeneuve is the living inspiration for the one who wanna join wilderness. He became famous from the show "Life Below Zero" and fulfilled his passion from this show. 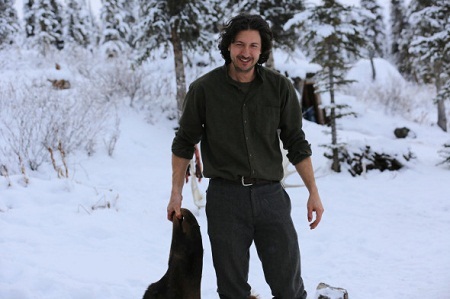 He was living a nomadic life for many years in 65 miles North of the Arctic Circle and was rewarded for his flexibility and later on, he was cast as one of the main characters in the show called ‘Life Below Zero’. The show highlighted Sue Aikens, Chip Hailstone, Agnes Hailstone, Jessie Holmes, Andy Bassich and Erik Salitan. They revealed the condition of Alaska which was unforgivable. If you’re living a more conventional way of life and thinking of moving to the wilderness like I did, it is going to be a big change and there is a lot to learn." "Take things slow and enjoy the process rather than being fixed on the goal, because you never know exactly how things are going to unfold. "Of course, I do, I’m only human! I’ve gone as long as 4 ½ months without seeing anyone, and that is much too long for my taste! I enjoy this lifestyle, even more, when I’ve got someone to share it with." "At the moment, I don’t. I don’t have any regrets, though. I like to spend time in Fairbanks, but I love the wilderness. That’s where I belong." His hobby is to share a love with nature and to adventure.